Parliament has passed the Constitution (One Hundred and Twenty-Third Amendment) Bill, 2017 that seeks to provide constitutional status to the National Commission for Backward Classes (NCBC). Now, the bill will be sent to President for his assent (as per 368 of Constitution). 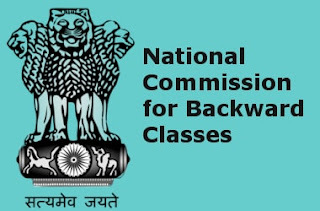 Parliament has also passed a separate bill to repeal National Commission for Backward Classes Act, 1993 as it will become irrelevant once Constitution (123rd Amendment) Bill comes into force. The Constitution (123rd Amendment) Bill provides for granting of constitutional status to NCBC on par with National Commission for Scheduled Castes (NCSC) and National Commission for Scheduled Tribes (NCSTs). It empowers the President to specify socially and educationally backward classes in various states and union territories in consultation with the Governor of the concerned state. The bill provides duties of NCBC to investigate and monitor safeguards provided to socially and educationally backward classes under Constitution and other laws being implemented and probe specific complaints regarding violation of rights. It also provides NCBC with powers of civil court while probing any complaint against notified socially and educationally backward classes. The Constitutional Amendment Bill was first passed with over two-third majority, with all 406 members present voting in favour. It had passed the bill by superseding amendments suggested earlier by Rajya Sabha by incorporating alternate amendments as well as some more changes. The bill passed by Lok Sabha was again passed by Rajya Sabha in same format with absolute majority and over two-third majority of members present and voting (All 156 members present in the house voted in favour of the bill). Q. Parliament has passed the Constitution (One Hundred and Twenty-Third Amendment) Bill, 2017 that seeks to provide constitutional status to whom?